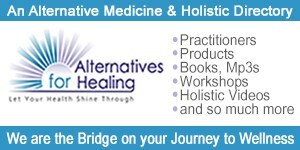 "The Akashic Records & Our Search for Peace on Our Evolving Planet"
Dahna Fox is an akashic records teacher, LifePath coach and motivational speaker who travels nationally offering individual telephone and in-person consultations, lectures and workshops, teaching people how to consciously access their own akashic records. The akashic records are the energetic recording of your soul’s Journey over every lifetime. Every thought, word and deed is registered in the Akasha, including your soul’s intention for this lifetime, plus planetary, galactic and universal information and wisdom. In her Edge Life Expo talk, learn how and why you are attracted to this wonderful source of wisdom and love. Imagine two hours of information, messages and your personal and global questions answered from the Divine energy of the Akasha, also known as the Book of Life. We came to this planet as humans for a reason. Why have we created patterns of joy, destruction, disease and addictions? How can we heal these patterns? Why are wars and natural disasters happening now? Why have they happened at all? What is our planet’s destiny and how does it relate to you? How can we learn to give up the struggle and anchor more joy in our lives? These questions and more will be answered. 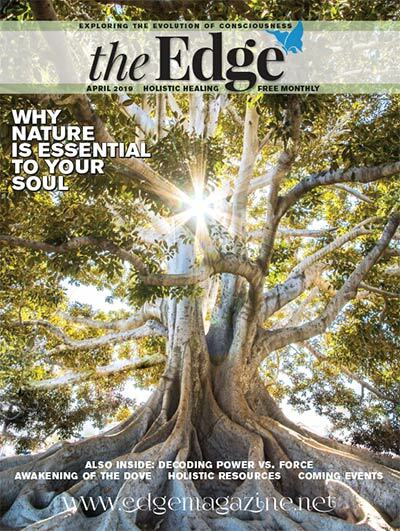 Dahna Fox spoke with Edge Life from her home in Cleveland, Ohio. What is the main idea that you’ll be stressing during your talk at the Edge Life Expo this year? Dahna Fox: I want to help people learn how to give up the struggle of their life and open their hearts to joy. Why is that topic meaningful to you? DF: Because that’s what I’ve been struggling with most of my life. This year for me has been one of intense introspection and learning about struggle. Why should someone take the time to hear this talk? DF: This talk is going to have a different format than ever before. The free talk on Friday is actually the beginning of the talk for Saturday. Friday’s talk will give the history and overview of the akashic records. 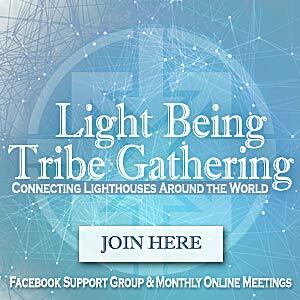 Saturday is going to be totally devoted to the message of the Akasha and answering questions. The first hundred people to attend on Saturday will receive a free booklet I’m putting together on the Akasha. What kind of questions should people bring – globally related, personally related or what? DF: All of the above. I do ask people to shy away from asking what their purpose is or questions about people who are not in the seminar, because it’s invasive for the other people. I want them to be clear about the intention behind their question. What are they going to do with the information after they receive it? If anyone has questions on how to structure questions, they can e-mail me beforehand at AkashicWisdom@aol.com. The question really needs to come from their hearts, because that’s when we’re sitting in the energy of the Akasha. When people sit there, they actually experience what it feels like to sit in the energy of this magnificent work. All the masters, teachers and loved ones are there surrounding them, holding them in light and love. This workshop is for people who are really willing and ready to do their work. DF: Above all, my purpose in this incarnation is to experience and learn as much about love as I can. The way I’m doing that is by working with the akashic records. So my purpose is learning about love, feeling good, knowing who I am and really learning about how hard it is to step into your greatness. We humans have such a struggle with that. My purpose is to integrate what I know to be truth from the Akasha into what I want to feel is my truth as a human. DF: God. One of the things I always knew was that I always wanted to talk about God. And I knew that we all had our answers within us. I just didn’t know what the questions were. It was God that led me to the Akasha and the desire to not feel less than, but to know that I partner with God at all points. DF: To me, it goes back to the word love. I define God as an energetic presence of total support and love, a universal aspect of being that allows us to make our own personal choices without judgment and punishment, but with loving support. God is the all-pervasive creative force, all-pervasive love force, and everything that I hold sacred within me. Is God a part of you or something that you hold separate from you? DF: A part of me. We are not separate from God. If you were coming to hear your own talk, what question would you have for the speaker on the topic, and how might you answer it? DF: Why is self-love so hard? I opened the records for this answer. Self-love is so hard for humans because we fear our own power. The aspect of self-love has so many strings of assumptions of how we are taught things "should" be that we constantly compare ourselves to the negative rather than the positive. The way to move forward in self-love is to begin to compare ourselves with the positives, with the things that we love rather than the things we know are less than. This takes total consciousness and is tough, even though it may sound simple. We learn not to be conscious because it’s a way of avoiding what we’re going to have to go through. It’s an ongoing cycle. We start viewing our lives through everything that’s wrong rather than what’s right. DF: Esther Hicks of the Abraham materials. One of my dreams is to sit and have coffee with her. DF: Love, because it’s the basis for everything. DF: Awareness and enthusiasm. The reason I say that is because I love being able to have a lively, expansive conversation, a philosophical conversation with like-minded people. My happiest moments are when I’m sitting in a workshop or at an expo and people are asking questions and I’m bringing forth information from the Akasha. On a lighter note now, what is your favorite movie and why? DF: Tootsie, because he doesn’t give up the struggle. He’s trying to find himself, and in being a woman he finds himself better than any way he could by being a man. He integrates the masculine and feminine in such a beautiful way that he becomes a total human. I have two more favorites. One is Defending Your Life with Albert Brooks. It’s all about how we allow fear to limit us. The other is Resurrection. That’s a 70s movie. If I were to define Dahna Fox through movies, I would say Tootsie is the light part of me that loves life and wants to integrate things. Defending Your Life is the story of how I’m trying to break out of who I am and dispel the beliefs of what I’ve learned to be true but know is different. Resurrection is the ultimate aspect of who God is. What is your favorite song in life? DF: "Three Times a Lady," by the Commodores. DF: Because when my husband was alive he used to sing it to me, because it represented our three children. How romantic! Why did you choose to be part of the Edge Life Expo? DF: I was one of the speakers at the very first Edge Life Expo. I gave a free talk and had the largest turnout there. It was just amazing. I was shocked! So I love being there. DF: I travel all over the country doing different expos. I’m working on two books and I have programs of life coaching that are more than just one consultation. It’s a whole series that helps people put their lives together. I also do business coaching for business owners and entrepreneurs. The Akasha is used for marketing programs, working with employees, cash flow issues, etc. DF: Two jobs stand out. I worked in a factory making wheels for shopping carts, because I wanted to experience what it felt like to work on an assembly line. My parents were middle-class working folks. When I was very young, I job-hopped a lot, because I was very curious about things. I also worked as matchmaker for a computer dating service. What is the most extreme thing you have done in your life? DF: Attend the birth of my daughter and son-in-law’s first child. It was my first grandchild. I was there at the birth and it was the most miraculous thing! It was a huge honor. DF: Our children, and the fact that metaphysical ideas and concepts are more and more coming into the mainstream. Describe what you felt when you were in the most memorable place you have visited on the planet. DF: There are two places. One is the Western Wall in Jerusalem, where I felt the sacred history of humanity. In the Grand Canyon, I felt the natural earth and galactic history. Why did you change the spelling of your first name from Donna to Dahna? DF: Because it matched me energetically better from a numerological point of view. What have you personally learned in the past year that has helped you? DF: I’ve learned that truly loving myself and my body is hard. It takes daily focus and I’m not there yet. I’m really OK with me, but there are pieces and parts of me that I’m not so thrilled about. What I’m working on is being happy with all of me. What are your plans for 2007? DF: Finishing my books and doing regional conferences. I want to take the Akasha on the road regionally and do what I do at the Edge Expo, but create four-hour lectures. I want more people to have the opportunity to experience the Akasha. Do you think you’ll ever retire or change your line of work? DF: No! Have career, will travel. As long as I have a telephone and a prayer, I’m set. I can go anywhere. I love my work too much to ever retire. Anything else you want to share with us at this time? DF: Yes. We all need to remember our divine connection and know that there is absolutely nothing we could ever do or say or think that would ever separate us from God. Standing in your own personal power is not about being egotistical or aggressive. It’s the ability to love unconditionally, stay firm in your decisions and being clear where your boundaries are. 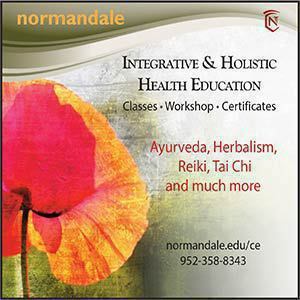 Also, I’ve got both Level One and Level Two workshops coming up in December in Minneapolis [see the Edge Life Source listings]. 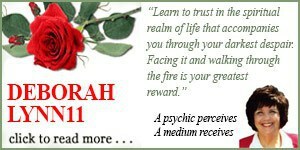 For more information on Dahna Fox, visit http://akashicwisdom.com.